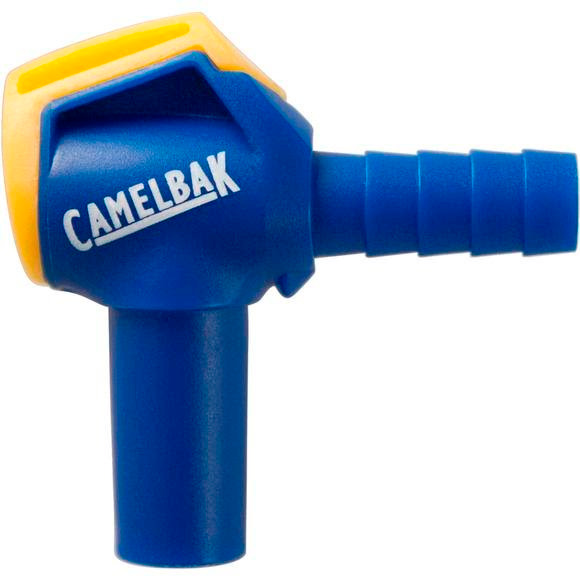 The 90-degree bend in the Camelbak Ergo HydroLock puts the Big Bite Valve into an ergonomic position for drinking. With a simple flip, the on/off mechanism can be activated or shut off. Turn on when you need it, off when you don&apos;t.
90-degree bend perfectly positions the Big Bite Valve for easy drinking.